I'm going to pop them into her backpack to surprise her at school. My daughter's primary love language is "gifts." And since these flowers are pretty and pink -- she'll love them! They were made to be glued onto a scrapbook page, so the backside has to be covered over. 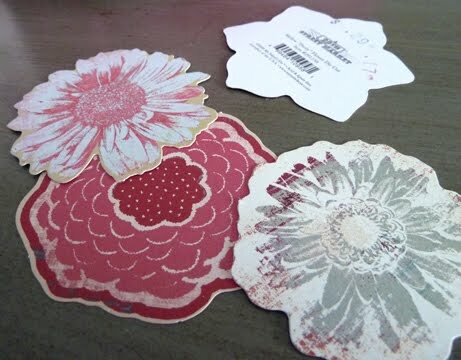 I'll write a little "I heart you" note on another sheet of paper and glue that over the flower back. 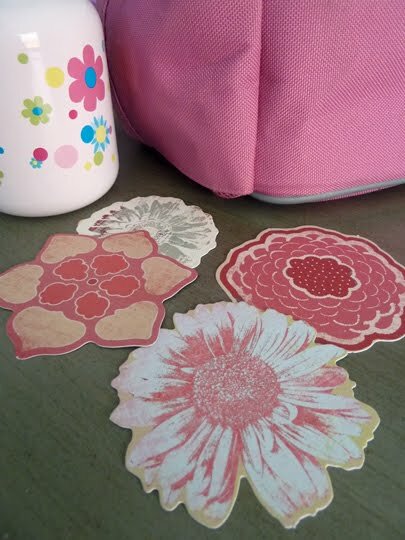 What fun things have YOU added to your kiddos' backpacks or lunch sacks? For the hot broccoli dip -- I use tortilla chips, but veggies or ANYTHING would work. So that is a very cute idea! Very cute! I'm feeling the same way about the last 5 years... where did they go? My nephew is just a few weeks from starting kindergarten, too. I just don't know how that happened. I swear he was just born last summer! I've been trying to come up with the right starting-school gift for him. It's a challenge.